Characterised by enormous eyes and long, thin limbs, the red slender loris (Loris tardigradus) is a small nocturnal primate found only in Sri Lanka. The species has been identified as a global conservation priority by ZSL’s EDGE of Existence programme due to its evolutionary uniqueness and threatened status. The red slender loris is classified as Endangered by the IUCN. As Sri Lanka lost much of its rainforest to development, populations of slender loris declined. Today, fewer than 2,500 individuals are thought to survive in isolated forest patches across south western and central Sri Lanka. 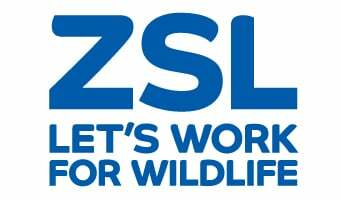 ZSL has been engaged in a collaborative project, the Red Slender Loris Conservation Programme (RSLCP), since 2008 to bring conservation focus to the species and its remaining habitat. There are two subspecies of red slender loris, and the habitats of both are rapidly being lost and fragmented due to agricultural development and firewood collection. The western red slender loris (Loris tardigradus tardigradus) inhabits wet lowland habitats and is estimated to number approximately 1,500 individuals. The montane slender loris (L. t. nycticeboides) is in an even worse state, and was thought to be possibly extinct from 1937 until its rediscovery in 2009 by members of RSLCP. The population of this subspecies is estimated to number around 80 individuals, making it an urgent conservation priority. 2009: Rediscovery of montane slender loris, a subspecies that was thought to be possibly extinct having not been closely examined for more than 70 years. Lorises are small nocturnal animals that inhabit the forests of India, Sri Lanka and South East Asia, and feed primarily on insects.